Sri. Rupesh Kartha has been performing in the Bay Area for the past several years. He has played violin in a number of programs including carnatic concerts, fusions and dance programs. His gurus include, Shri. MN Sathyamurthi, Shri. Nedumangadu Sivanandan, Smt. TH Lalitha, Smt. Srimathi Brahmanandam and Smt. Anuradha Sridhar. Sri. Rupesh Kartha currently works at eBay Inc.
Vishal Setlur has been learning mridangam for the past 6 years at Sarvalaghu Percussion Arts Center, under Sri. Ramesh Srinivasan. 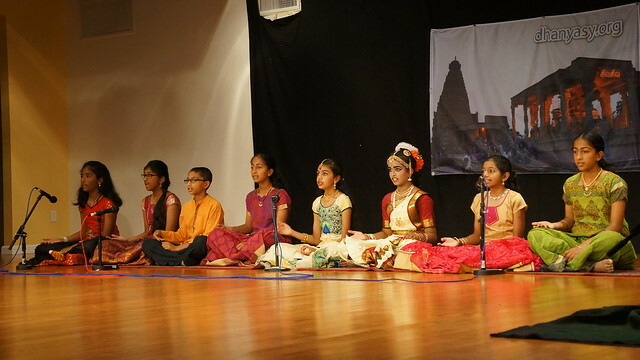 He has represented his percussion school in various Taala Vaadya programs in Bay Area and performed at the Cleveland Tyagaraja festival for the past 3 years. Vishal is a 7th grader at Miller Middle School in San Jose. And, his hobbies include listening to music, basketball, and football.